Diagnosis for ASD is still behaviorally based. Psychologists and medical professionals with clinical expertise use the Autism Diagnostic Observation Schedule and the Autism Diagnostic Interview to diagnose autism—these two tests are considered the gold standard. However, getting a diagnosis can be a longer process due to several factors, including lack of resources and trained clinicians. This delays autism diagnosis, on average, until age 5 or 6. "Within ASD, two important research questions are: How can we minimize the delay in diagnosis, and what kind of intervention can we give the child?" said Rajesh Kana, Ph.D., associate professor of psychology in the UAB College of Arts and Sciences. "Our findings primarily respond to the first question; but if study results can be replicated many times for external validity, they can also be used in finding answers for the latter question." 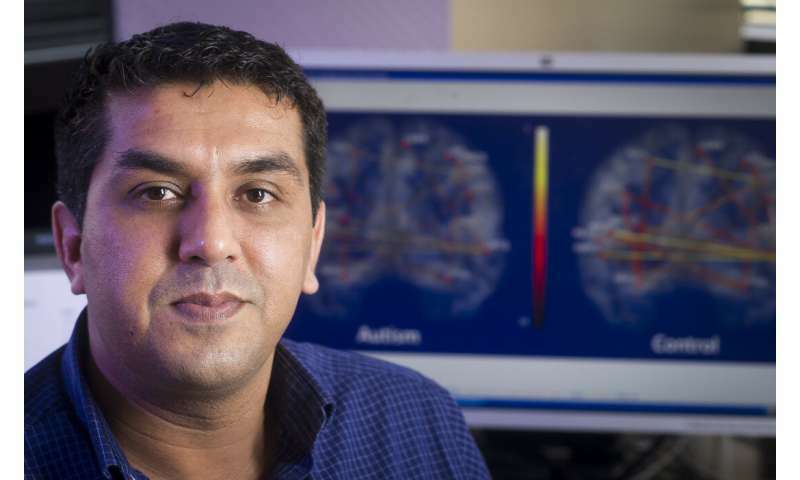 Utilizing functional magnetic resonance imaging, or fMRI, postdoctoral fellow Omar Maximo, Ph.D., and Kana examined 306 people from ages 8 to 39, with 138 individuals in the ASD group and 168 individuals in the typically developing group. They looked at functional connectivity, which refers to the synchronization of activity across different brain regions, on two types of networks, unimodal and supramodal, in areas of the brain underneath the cerebral cortex. The subcortical areas contain structures that receive inputs from and to the cortex and sensory organs, and play a large role in cognitive and social functions. "Think of the brain network as a system of interconnected highways that takes you to cities—the white matter connections take you to different parts of the brain," Maximo said. "Unimodal areas are primarily involved in basic sensory processes occur, while supramodal areas—a collection of multiple brain regions—are in charge of higher cognitive processes." Maximo and Kana found there was overconnectivity in the unimodal-subcortical connections and underconnectivity in the supramodal-subcortical connections for ASD individuals, as compared to the typically developing control group, suggesting a relationship between connectivity and the expression of ASD. The study is unique in its focus on subcortical regions of the brain. "We're trying to find the signature of autism and why people with ASD are showing certain social and behavioral symptoms," Kana said. 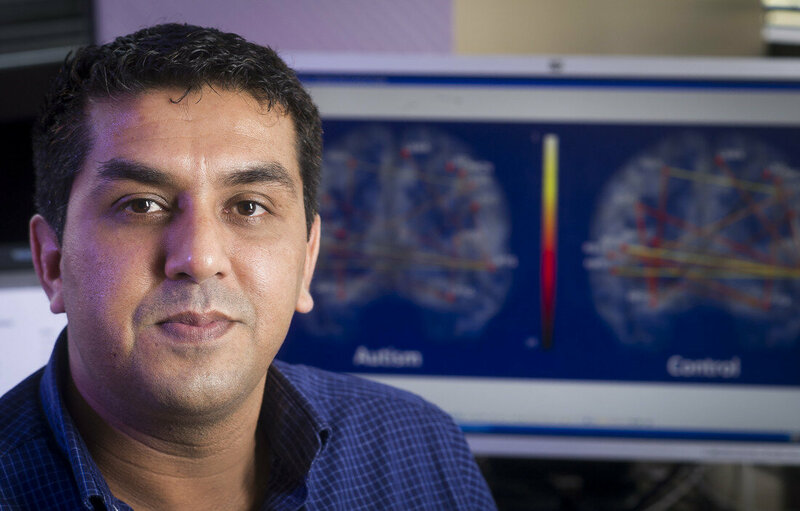 "How the structure and function of the brain are affected can help us understand why ASD patients are different." Finding biomarkers for ASD, Kana says, can greatly assist in early identification of individuals and initiate interventions, such as cognitive behavioral therapy or teaching necessary social skills, ultimately mending connections between sensory and higher cognitive sensory processes. The study, "Aberrant 'deep connectivity' in autism: A cortico-subcortical functional connectivity magnetic resonance imaging study," published in Autism Research, a peer-reviewed medical journal on child and adolescent psychiatry, is available online.